The last week has been a lot of fun. Maine and Massachusetts are beautiful and we got to meet up with other traveling family members. But that is just a memory now and we are returning to New Hampshire. But before we get there we have a service appointment at an authorized Winnebago service provider in Hatfield, Massachusetts. 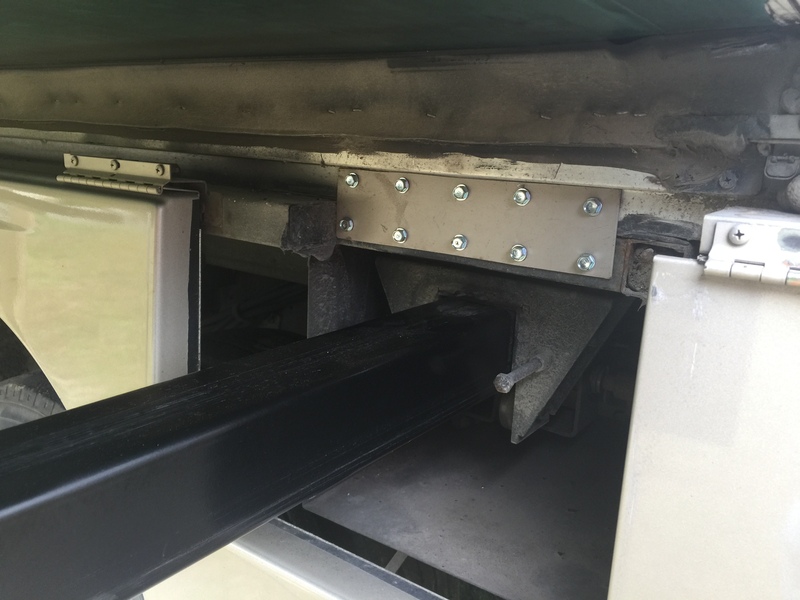 We have been having a minor issue with our largest slide on the RV and wanted it checked out. Turns one of the brackets that supports the slide mechanism was separating from the floor of the RV causing it to sag and make strange noises. The screws holding it up had all stripped out. We decided replacing the floor was not what we wanted to do so the technician McGuyver-rigged up a fix by screwing in a metal plate to hold things together. One hour and $110 later we were on our way again. That was only about 30 miles south of the campground we had stayed at before so we buzzed on up there and checked in. We paid for one week. Tonight is lovely, but the next two days it’s gonna rain! 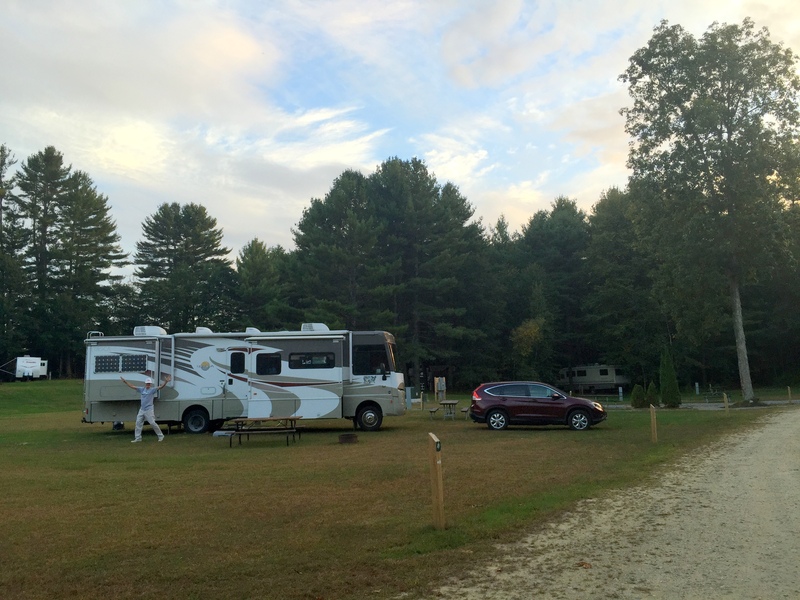 This entry was posted in Daily Post, New Hampshire, September and tagged Diamond RV Center, Repairs. Bookmark the permalink. Sounds like the making of a memory. It’s the unexpected we remember.